Priyanka Lalwani accepted a Q&A session with CreativInn, offering her advice to artists. 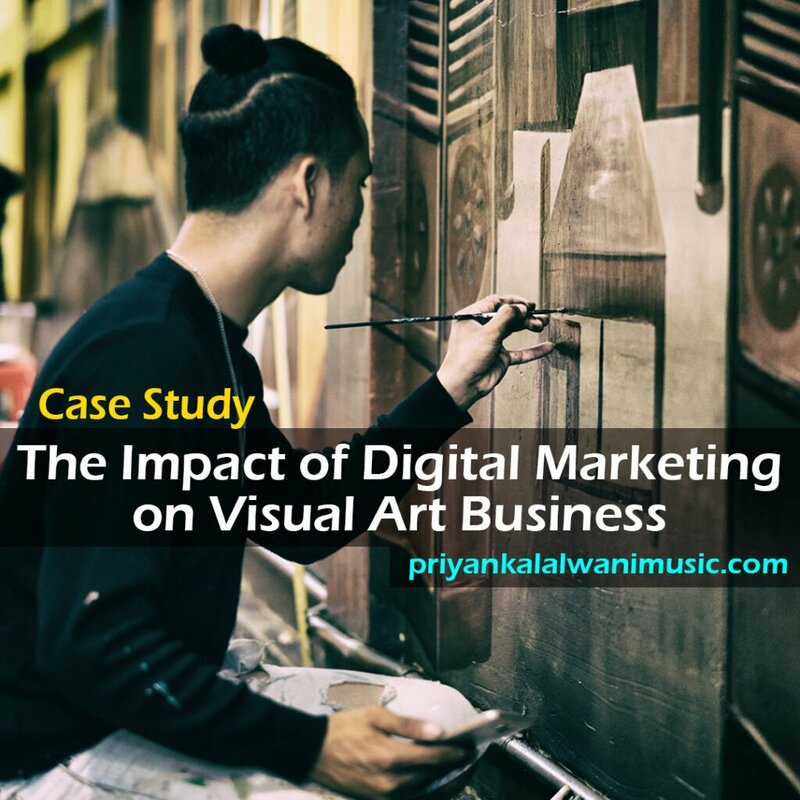 Priyanka Lalwani has been a mentor and marketer at priyankalalwanimusic.com and Searchmktgpro.biz, gaining many successful clients who are now very famous Youtube Artists, Live Performers and Visual Artists in US, UK, Canada, and Asia. Thank you, Priyanka Lalwani for coming to CreativInn. To start, please tell us about your background? Hello to all the amazing people on CreativInn. 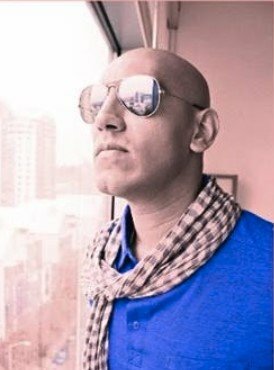 I am a Professional Marketer, Mentor, Producer and Indian Singer – Songwriter. I have been offering artist development services to Indian Artists living abroad and work with Indian Singers, Songwriters, Performers, Visual Artists, Directors, Designers and Managers. 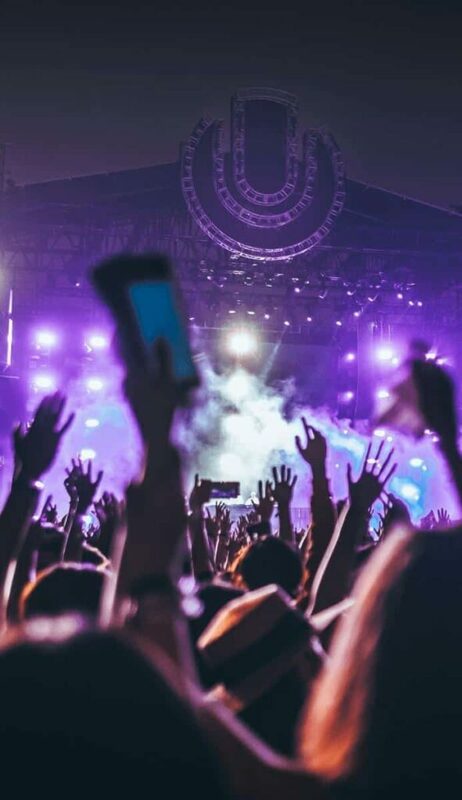 Headquartered in San Francisco, offering artist development services, our core mission is to discover, mentor and promote the unique Indian talent living overseas and bring them the exposure that they truly deserve from all over the world. How did you get into the business of representing artists? I guess I got the germ of getting into this business very organically. In 2008, I had newly moved to the Bay Area from Pune, India. 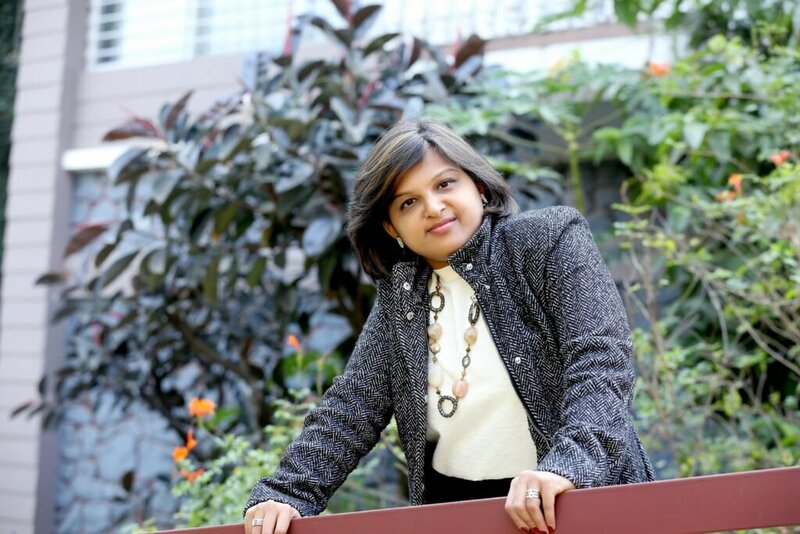 By 2008, I had an MBA in marketing from SIBM(Symbiosis Institute of Business Management) as well as solid corporate experience working as Digital Marketing Manager at TATA AIG Life Insurance, Pune. And prior to that, as a young adult, I had given many written and vocal Hindustani Classical Music examinations through Gandharva Mahavidyalaya, Pune – a reputed institution established in 1939 to popularize Indian classical music and dance. I had been a lead synthesizer player in a few bands, continually learning and performing Hindustani classical, Gujarati folk, Marathi folk, film music as well as Indian Pop music. So you see by 2008, I had a solid music and marketing foundation about the music business up my sleeve. But that nurturing musical environment around me changed overnight when the recession hit in 2008. That was a moment when I went through a complete inside – out and outside – in transformation. And, it really took me many many years to cope up with it. I was also just newly married then and had moved to Bay Area at the same time. So to start with, no family, no friends, no job and a completely new surrounding. I felt really miserable and out of place. And, it was very hard to process these emotions. Gradually I got to know about music events in the Bay Area and then met some professional artists actually making a career out of professions seldom known in India. And watching these artists succeed in music careers had a huge impact over me. I continued to network, sometimes volunteering at live music events, songwriting meet-ups and non – profit organizations. You see, now I had finally found my peeps. These conversations were quite instrumental in organically steering me towards the business of music. Artists were busy practicing their craft. There was so much talent around me. But they really didn’t have the time to do marketing and press. I connected the dots and happily realized what an incredible opportunity I had landed myself into! It is an opportunity that brought me freedom, flexibility and fun! I feel blessed to find mentors who took an active interest in helping me reach where I am today. Now it’s my turn to stand forward and help someone navigate their way. I’d love to be the guide to show you where, how, and what to pick in your creative journey. So what does representing and mentoring an artist actually entail? 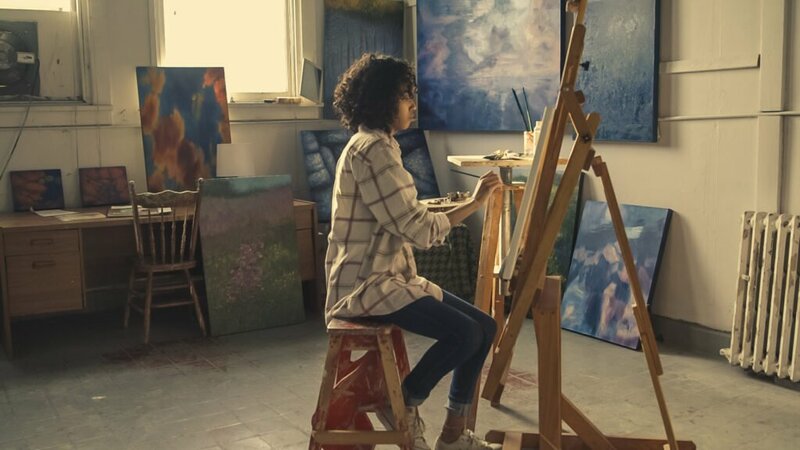 Mentoring an artist entails taking the pressure away from the artist, simplifying their creative process into smaller steps and working on their confidence. Mentoring helps artists to focus on being creative and confidently take the next steps. It entails easing the process and really making them believe that they can do it. On the other hand, representing the artist entails seeking opportunities to bring exposure and recognition to the artist from all over the world. What is your personal approach for helping an artist? I have created an artist development program called Plan ScaleSuccess. It’s a great fit to Singers, Songwriters, Performers, Visual Artists, Directors, Designers, and Managers. I want my team to act as a bridge between the art and the public, patrons, buyers, and venues. We represent established, professional Indian artists living abroad. We listen to the artist’s story and then, turn their narrative into their marketing. And all along the way, we try to keep it organic, genuine and authentic. Our narrative creates an international buzz which gives them international recognition. Artists leverage this recognition to strike lucrative deals with patrons, buyers, and venues. We mentor Indian artists living abroad and help them achieve fame and success that they truly deserve. We identify and reach targeted markets for their art internationally. We bring international recognition to these talented artists through our top-notch connections in business. But I thought it was not enough and I have created a second program to help the artists achieve their artistic project. Through Project Happiness, the artists get to finally complete those ‘never seem to end’ projects. For both programs, artist commits no more than of 30 minutes each week in studio or online. Artists can sign up for 4,8 or 12 mentoring sessions. Here we patiently listen to their concerns, understand their goals and knock down any concerns bothering them. We help them achieve inner peace and fulfillment in their creative business. Our mentorship program guides them to fearlessly take bigger risks and move towards even bigger milestones. A solid action plan at the end of the program helps them sharpen their focus, control their decision making and get their confidence back. Priyanka Lalwani helped me figure out my strength and convinced me that I could really sing. Her program is very structured. She cleared hurdles in my way, mentored me for voice and further shared with me tips to set up a home studio for music. She also encouraged me a lot while writing compositions. I came to Priyanka with a lot of questions that I would bounce off. eg. I was also learning sitar at that time and wanted to sing while playing sitar. Priyanka patiently listened to all my concerns and offered options best suited to my goals. What are the most significant benefits a mentor & marketer like you can offer to artists? Simply put, the artists benefit by getting work of higher caliber, getting bigger clients and working faster. They also get access to powerful connections in our network. Increased Sales – eg. a visual artist sold a complete series of her paintings. Got on radar of public, patrons, buyers, and venues. – eg. we showed a singer’s showreel to the right target audience and helped him get performance opportunities at Regional Indian shows of the Bay Area. Stimulated creativity – We inform our participants about opportunities available all around the world to stimulate their creativity. These are an integral part of Plan ScaleSuccess and Project Happiness. Got featured in the news – We have promoted Youtube stars and helped them get featured in radio shows and traditional press. Made bolder choices – eg. 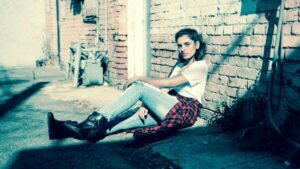 Our client – a stressed out, not so socially savvy, the millennial visual artist was offered by us, an action plan of bolder choices to launch her debut exhibition. The conservative business which had stagnated for a long period was able to sell a complete series of paintings. My artist development program, Plan ScaleSuccess, has essentially benefitted artists to clearly identify what they want to do. They are on the path now where they feel great about themselves and see tangible results. They have enough time. They make more money. They take care of themselves. They go from a place of frustration or pain or confusion to living life in full potential. A millennial contemporary artist based in San Francisco had difficulties establishing which artistic works resonated with her customers. The artist faced major challenges building an audience for her artwork and made few sales leading to stagnation of her business. The artist had poor management of finances and failed to allocate resources appropriately. She failed to take a holistic view of incoming demand and available resources which rendered her into financial crisis.Through Plan ScaleSuccess, the artist attracted international media where the press recognized her artwork. She was interviewed by a French magazine which offered her an opportunity to showcase her talent and artwork. The artist was hired for commissioned work and was also among few artists selected to showcase her paintings in two prominent galleries in San Francisco. What is your idea of a perfect client and how do you maintain client-agent relationships? For Project Happiness, we engage with artists who are really proud of their art. They actively talk about their upcoming and past projects in their personal and extended network as well as on social media. They are incredibly talented, hungry to grow and motivated. They are enthusiastic and curious about possibilities in their career. We look forward to these traits while accepting mentorship applications. For Plan ScaleSuccess, our artist development program, our perfect client includes Singers, Songwriters, Performers, Visual Artists, Directors, Designers and Managers. 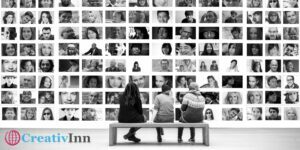 Participants of Plan ScaleSuccess are established artists who have excelled doing what they love, have received acknowledgments from peers and have very little competition. These artists showcase a unique talent and marketability which can be leveraged to bring them lucrative deals. To maintain a healthy client-mentor relationship, we draw up a contract to clearly specify project details, requirements and expectations. We partner with artists and open up our resources and connections to them. We are highly committed towards attention to detail and clear communication with clients. We know artist development isn’t easy so we are prepared for some bumps along the way and are ready to be challenged. The constant innovation in marketing, tech, and communication makes it really exciting to work in. Priyanka Lalwani, what have you learned from the artists themselves? The mindset and journey of each artist is incredible. I have learned to respect them as unique individuals. Artists have taught me to be fearless. We have enthusiastically promoted unique designers through searchmktgpro.biz, our spin-off business unit catering to this market specifically and really gotten over the fear of the unfamiliar. You can follow their incredible success stories on our Instagram. Artists from all over the world have signed up for our programs. They have taught me to show up each day and do my best. Their enthusiasm and curiosity are pretty infectious! Artists teach me to have the willingness to embrace uncertainty. Stories of their grit and determination continue to inspire me. What piece of advice would you give to young talented artists who want to succeed? Well, identify what success really means to you. Is it the thrill of sharing your talent with the world? Also, ask yourself what motivates you as an artist. Figure this out as early as you can. For example, if success means sharing your talent with the world, you could think of spending more time practicing in the studio rather than marketing and then, taking a part-time job to support your financial needs. If success means getting a recognition like an award or critical praise, you could prioritize applying to shows and getting signature status in a reputed organization. If you are an entrepreneurial artist, success implies finding opportunities to sell your work and building a creative business around it. I’d advice artists to set priorities and really stay accountable. It will help you achieve the success that you truly deserve as an artist. What mistakes an Artist should have to avoid? Avoid asking for permission to be an artist. Just like the world needs doctors and engineers, it needs artists. It needs you! Avoid thinking that your creative work is a hobby. It’s not a hobby. It’s a business. Avoid the planning paralysis. If you are a singer, sing more songs. If you are a painter, paint more artwork! Don’t dwell over planning for too long. Avoid comparisons with others. A safer way to build your confidence is to compare your work only to your earlier work. Measure what you have achieved in 3 months, 6 months,1 year, 2 years or 5 years. What worked? What didn’t work? What could you possibly do moving forward for the same timelines? Avoid isolation. Find a buddy who appreciates what you do and partner. Avoid blaming yourself for not getting work done. Don’t give yourself excuses. Instead, show up at work sincerely and continue from where you left. Avoid perfectionism. Perfection is a never-ending vicious bubble that you need to burst right now. Really, blow up this bubble with your cheeks and burst it. There you go! Avoid chaos. Set a mechanism to keep yourself accountable. Ask for help when you need clarity. Avoid admin tasks. Delegate or outsource. Avoid relying heavily on the money that comes from the sale of your work at the beginning stage. Instead, explore multiple income streams to get a steady start. Find your ‘sweet spot’ and finish your projects. Be prepared to receive critical feedback. It’s part of the learning process. Avoid trying to please everyone. It doesn’t help. Instead of helping you it might keep you away from getting the respect that you truly deserve as an artist. Artists who cannot say ‘no’ tend to be taken for granted too. Avoid working too much. Take time off to enjoy your achievements and give yourself a treat! Thanks, Eva for giving me this unique opportunity. It was so much fun! 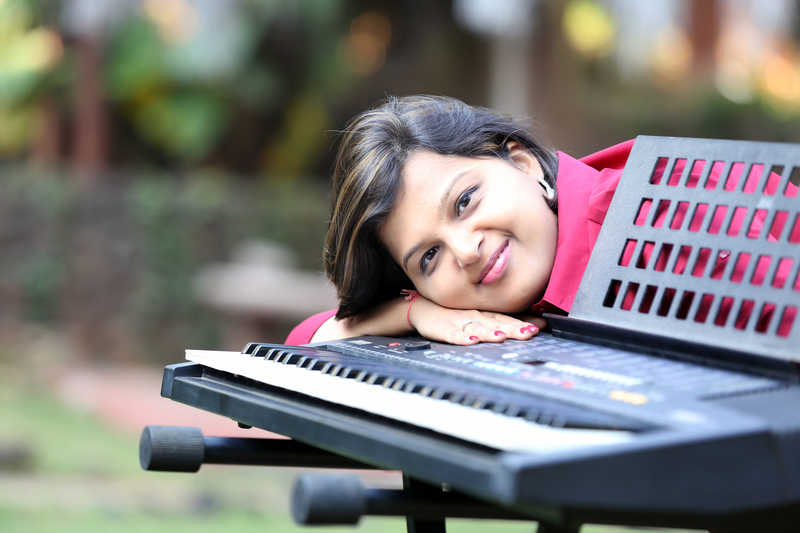 If you want to know more about Priyanka Lalwani, visit her website at priyankalalwanimusic.com. You can follow Priyanka on facebook at priyankalalwanimusic.